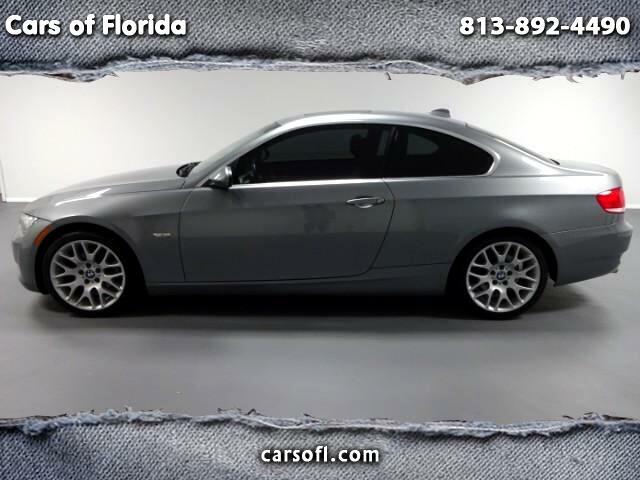 Cars of Florida is proud to announce this one owner immaculate 2007 BMW 328i Coupe. This gem is equipped with the premium package, tech package and cold weather package. With only 69,000 pampered highway miles this vehicle has a clean title with NO accidents. This vehicle features Xenon head-clamps, navigation, bluetooth, Auxiliary input, sunroof, upgraded Harmon Kardon surround sound and much more. Full inspection completed, Ice Cold AC. Fresh synthetic oil change, All books and manuals including service records are included. 2 Key remotes that offer keyless entry and engine start/stop capability. This is the one you been waiting for! Visit Cars of Florida online at carsofl.com to see more pictures of this vehicle or call us at 813-892-4490 today to schedule your test drive. *Vehicle subject to Sales Tax, Tag & Title processing fee and dealer service fee. * *All Vehicles sold AS-IS. Dealer is not responsible for misprints or errors.